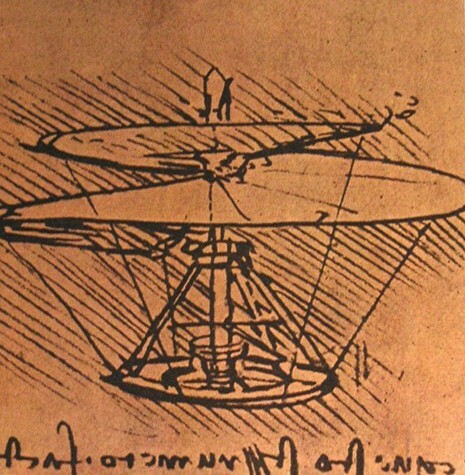 Leonardo da Vinci Sketches the Design for the "Aerial Screw"
The first studies on helicopters were well in advance of the first airplanes. 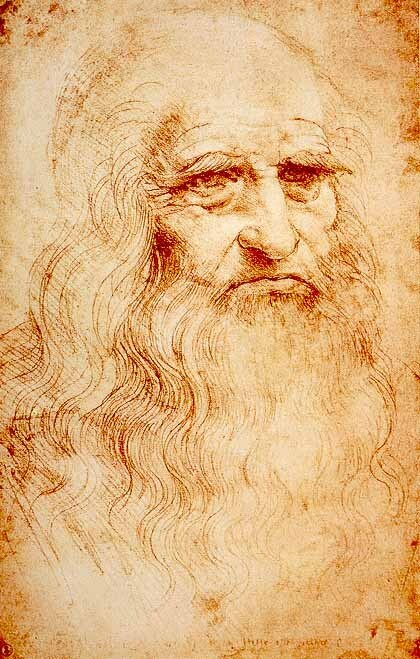 Leonardo da Vinci is credited with having first thought of a machine for vertical flight, the "airscrew," the design for which, dated 1493, was only discovered in the 19th century. 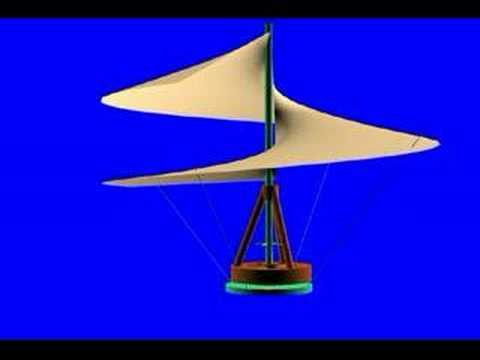 It consisted of a platform surmounted by a helical screw driven by a somewhat rudimentary system, not unlike that of rubber-powered model aircraft. The great Tuscan genius wrote that if this instrument in the form of a screw were well made of linen, the pores of which had been stopped with starch, it should, upon being turned sharply, rise into the air in a spiral. However his design was never put to any practical use.